During the past several months I’ve been quite preoccupied with preparing for the 20th anniversary of Critical Mass, and a big part of that earlier this year was wrapping up the book “Shift Happens! Critical Mass at 20,” which is now out and available both in print and as a kindle e-book. And last June we traveled to Scandinavia and Spain too, so that also filled up my life for a while. All that is to say that even though I’ve been away from blogging for the most part, I still think of things I want to write about, and today, finally, I’m getting back to a topic that I had been thinking about off and on during the past six months. It started when I picked up Comanche Empire by Pekka Hämäläinen, an incredible book documenting a major piece of North American history that is barely recognized or understood. 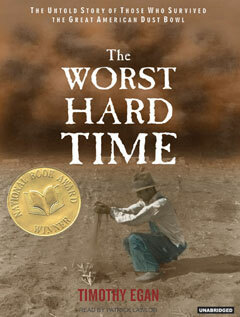 After I read that I picked up The Worst Hard Time by Timothy Egan, a breezy but well-told history of the Dust Bowl. What I realized as I started on the second book was that the stories take place separated by a little more than a half century in the exact same geographic area! Then I found a novel published by the New York Review of Books by John Williams called Butcher’s Crossing, which takes place in the years that the trade in buffalo hides peaked and collapsed in the mid-1870s, exactly when the U.S. Army was wiping out the Comanches by destroying their domestic encampments while for-profit hunters were decimating the buffalo herds on which they depended. And lastly I finally got to read my good friend Roxanne Dunbar-Ortiz’s first volume of her autobiography, Red Dirt: Growing Up Okie, about her childhood from the late 1930s to the 1950s in a small town that is later swallowed by the greater Oklahoma City metro area. Taken together these four books provide quite an unexpected and rarely connected history of the southern Great Plains. The territory in question extends from southern Kansas and even southeastern Colorado into New Mexico and the Oklahoma and Texas panhandles, all the way to Mexico. 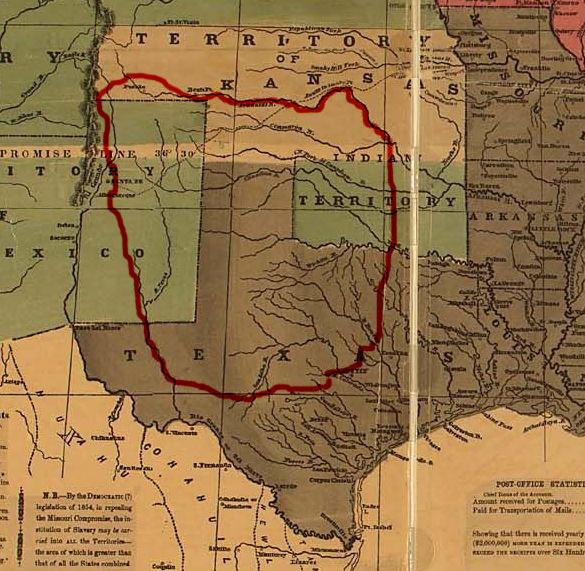 I’d never heard of the Llano Estacado region but it figures prominently in Comanche history as well as the early histories of the Mexican provinces of Texas and New Mexico. The recent prominence of Thomas Frank’s book What’s the Matter with Kansas?, in which he laments the late 20th century rise of red-state right-wing politics, underscores the Republic of Amnesia that cloaks the much longer and non-U.S.-centric history of the area. 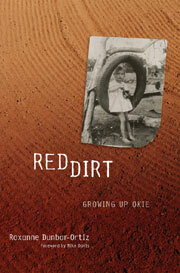 Roxanne’s memoir Red Dirt is so named to evoke the layered histories of the area, the red soil that predominates in Oklahoma, the “red skin” of the many tribes that were driven to “Indian Territory” by U.S. policy in the early 19th century, the strong socialist and Wobbly history in Oklahoma, the left-wing “reds” that created a pro-worker state constitution in Oklahoma and who were smashed during the “red scare” after World War I. The dramatic untold story is that the Comanches were an aggressive, expansive, and successful empire for over 150 years, from the early 1700s to after the U.S. Civil War, but they haven’t appeared on maps, and have not been much of a factor in most of published history. (An important exception is Caleb Galloway’s magisterial work “One Vast Winter Count” which completely reconfigures the history of North America by seeing it from the point of view of many different tribes, situating them as historic actors and makers of their own history.) 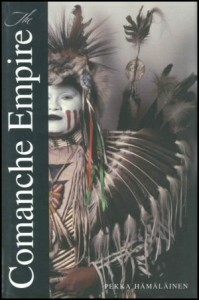 Until I read Comanche Empire I didn’t really appreciate how much land the Comanches controlled, in fact I didn’t really even know where they were or how they related to other well-known Indian nations like the Apaches, the Pawnees, the Cherokees, or Creeks. I never knew how much they had successfully prevented the Spanish and then the newly independent Mexicans from consolidating and controlling their northern colonial territories, and how they developed a thriving economy based on a semi-nomadic symbiosis with vast herds of buffalo while becoming expert horse breeders, combined with “raiding and trading” along their frontiers to dominate their neighbors. 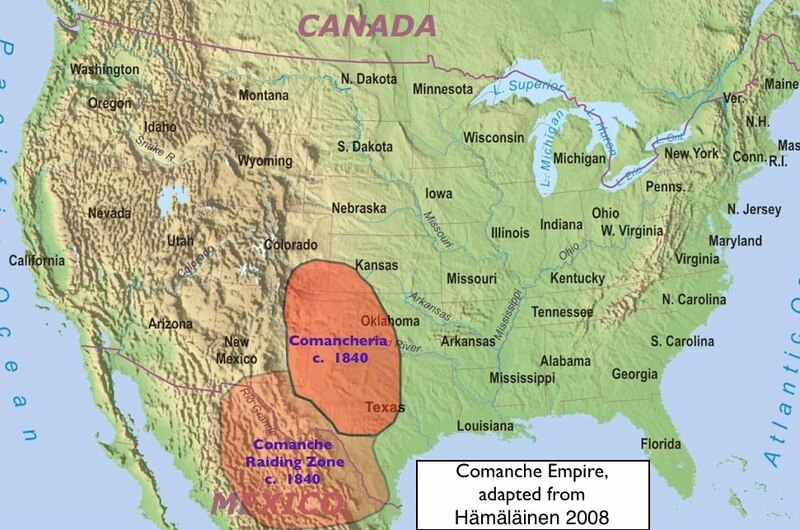 Comanche trading empire in early 19th century. Map by Bill Nelson. The Comanches are thought to be a tribe that emerged in the early 1700s from a breakway faction of Northern Shoshone who had migrated through the Great Basin from north to south. They first appear in a New Mexican diary in 1704 but by a few decades later, they are a fierce and expanding presence on the borders of the Mexican frontier. These maps show the remarkable size of their territory in the early decades of the 1800s, when the U.S. is growing fast and pushing westward. As the Revolutionary War in the 13 colonies was slowly taking shape in the 1760s, the Comanches were besieging and nearly destroying both New Mexico and Texas. But by the end of the 1770s Comanches were at war on their northern border with Pawnees and Kiowas, and Osages to their east, while the trade on which they depended with British, French, and Spanish traders from the Mississippi came to a halt because of the War for American Independence. At roughly the same time, around 1780-81 one of the worst smallpox epidemics in history swept through their territory, having surged northward from its point of origin in Mexico City and decimating populations throughout North America. 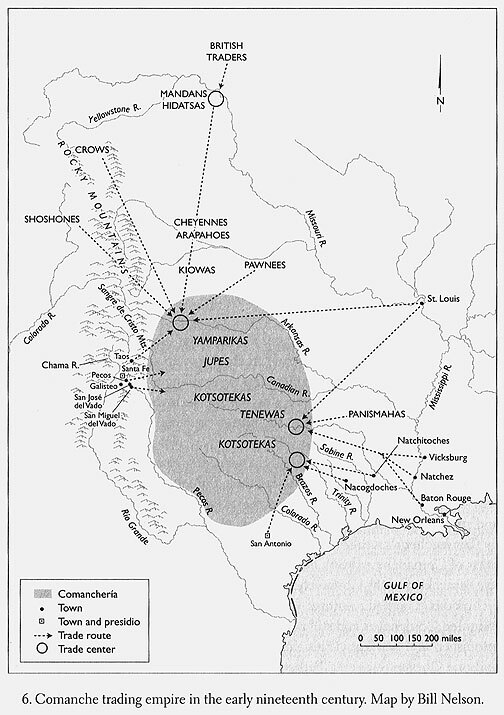 The eastern Comanches lost nearly two-thirds of their population, about 16,000 people in just a year. “Taken together, Comanches possessed several of those crucial assets that gave Europeans competitive advantage and allowed them to conquer and colonize much of the globe after 1400. Indeed, during the eighteenth and early nineteenth centuries, Comanches routinely held a strategic, tactical, technological, economic, demographic, and organizational edge over their main colonial rival, New Spain. Their flexible unity, vast horse herds, cavalry skills, abundant firepower, and ability to muster thousands of warriors were sources of dread and envy to Spanish administrators whose options were curtailed by stifling mercantilist regulations, grueling bureaucracies, an acute lack of high-quality weapons and soldiers, and uncooperative subject peoples. Among my favorites aspects of Hämäläinen’s book are the descriptions of lengthy negotiations that took place among various rancherias of Comanches, leading in turn to larger gatherings in which agreements were made with colonial leaders in New Mexico and Texas. The political process involved communities of families with a recognized “small chief” who would consense on political decisions, and then their participation in the larger process would also lead to a strong consensus among allied communities facing the colonial competitor. Ultimately the flexibility at the base of its society gave the Comanche empire a remarkable strength and power that surrounding cultures could not resist during more than a century. Finally, though, the Comanches are defeated by the U.S. military, who in the 1870s could not defeat the warriors in open battle, but ultimately succeeded by destroying the domestic encampments where the families lived and carried out the necessary tasks of reproduction. While this brutal campaign of attacking women, children, and elders behind the battles lines was going on, the immense slaughter of the Plains buffalo herds was climaxing, too, which eliminated a key element of the Comanches’ economic sustenance. 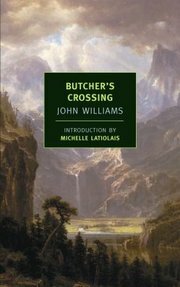 In Butcher’s Crossing, John Williams tells the story of a young man who leaves Harvard in the East to have an authentic experience of the open West in the mid-1870s. He comes to a dusty, frontier town in southwestern Kansas called Butcher’s Crossing, where he uses his ample funds to hire a buffalo hunter to lead a party to a mountain valley only the hunter knows about, where he’s sure they can still find large herds of buffalo in the late summer. The town is centered on the trade in buffalo hides, and after assembling the necessary gear, oxen, wagon, and two others, the four men embark on their journey, all expecting to make a great deal of money if the promised buffalo are found. After nearly dying of thirst as they blazed a cross-prairie trail towards their destination (leaving known water sources), they ultimately make it to the mountain valley and sure enough, there are several thousand buffalo grazing at the other end. They commence a horrible slaughter, systematically shooting nearly all the buffalo in the valley, with a machine-like obsession driven by the main hunter. But they stay a bit too long and suddenly a powerful early season blizzard snows them in and they are stuck all winter in that mountain valley. The tedium and fear is palpable, and the book lingers on the existential predicament they face, the mystery of weather and geography, the impossibility of moving their hundreds of drying buffalo hides out of the valley until the spring thaw, etc. Finally they leave the next April, and while transporting a third of their take by ox-drawn cart, they ford across a raging river (that had been a mere trickle when they’d crossed the other way the previous summer) which manages to up-end their load and drown the ox and one of the party. The remaining men make their way back to Butcher’s Crossing only to find that the trade in buffalo hides has collapsed and they could not have sold their hides even if they had them. The two-thirds of their hides still waiting for them in the mountain valley, ostensibly worth thousands of dollars, have been rendered worthless by unseen and inexplicable market forces. The young man leaves poorer but wiser and returns to the East Coast, end of story. Just a little more than a decade later, the famous Oklahoma Land Rush happens, when the federal government violates dozens of treaty agreements with various Indian tribes and allows white settlers to rush in and claim most of the arable lands of Oklahoma, formerly “Indian Territory.” No longer do the Comanches command the southern Plains, and the tribes clustered in the area have no military capacity to defend their lands. Within a generation of the land grab, wheat prices are soaring during World War I, and speculators are moving in to start wheat farms on the last remaining lands that haven’t yet been privately claimed, mostly in the Oklahoma and Texas panhandles, or leasing lands from large, sparsely populated cattle ranches. In 1938 Roxanne Dunbar was born in Piedmont, Oklahoma, now part of the greater Oklahoma City metro region, but at the time, a typical small town full of very poor white folks who had not been able to leave the area during the catastrophe of the previous years. She details her life of childhood asthma and poverty in Red Dirt, sharing her family’s history (much denied and feared at the time) of an Indian grandmother and a Wobbly/Socialist grandfather. As her story proceeds, she becomes a young girl fully indoctrinated into the Baptist Church, fearful of nonconformity and anything deemed communist or anti-American. But Roxanne eventually discovers books, her own brains, and a hidden strain of beats and other bohemians even there in Oklahoma. They set her on a path that eventually leads her to becoming one of the more articulate and prolific radical and feminist writers of the past decades. In telling her story she reflects on how the state of Oklahoma, once a proud bastion of a strong radical tradition, and even earlier the home to dozens of Indian tribes, became a wholly owned subsidiary of the oil industry, committed to keeping its own population racially divided and poor and ignorant. By the time we get to the 1950s, the complicated ecological and social histories that are the foundation of life as we know it in that area are completely obliterated by conservative Christianity, American patriotic anti-communism, and a sad, fearful culture that depends on denial to function. During this quadrennial madness known as a presidential election, it behooves us to look deeper at the histories that got us here, and realize how much of what passes for debate and difference is mostly a theater of the absurd. A real honest reckoning with the roots of our humanity would bring us face to face with the destruction and devastation we’ve wrought in the name of progress. Perhaps we might start talking about how much different life could be, how much richer and more complicated it actually is than the stories we are told, and maybe, just maybe, we might learn something about a different way to organize ourselves socially and politically by learning from complicated cultures that preceded us on this land. Or not! What’s on TV tonight?? I am so excited to read this!!! I will be 49 at the end of this month and I didn’t start seuirosly pursuing writing until this year. I am thrilled to know that someone else has done the same. What an adventurous life you have lead! As a proud member of the Creek and Cherokee Nations, I appreciate your efforts to explore the relationships that in all likelihood did exist between white and Native American inhabitants of the same wilderness. My mother is FBI (full-blooded Indian! )and she loves to read Western romances with a hefty dose of Native! One of the members of my crit group is an aspiring western romance novelist. What advice would you give her about the genre? Empire of the Summer Moon by S. C. Gwynne is another good book about the Comanche Empire. I first got a copy because when I opened it in the bookstore the map at the beginning jumped out at me. My Dad’s hometown was right in the middle of their range. They (we?) 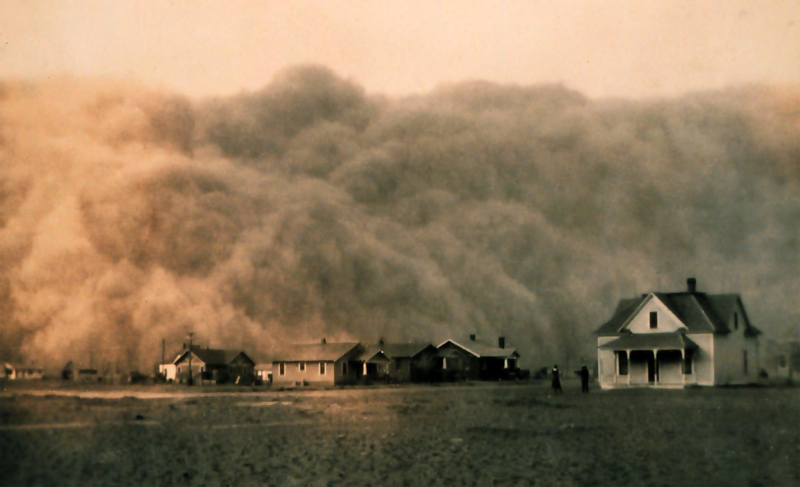 came to California in the dust bowl days. 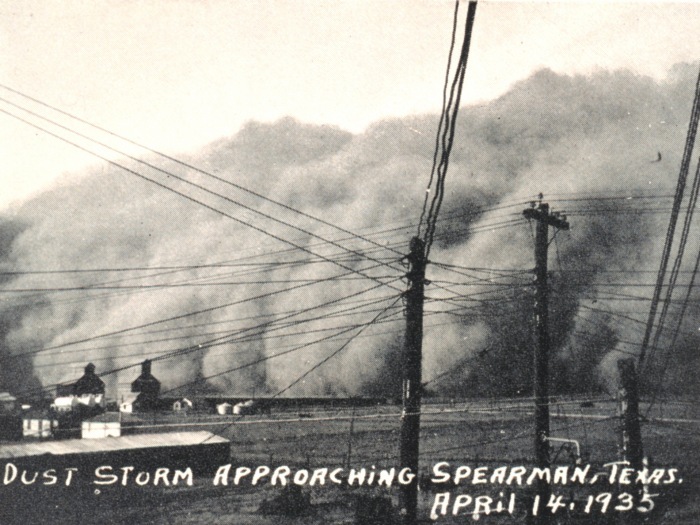 Bakersfield in the Dust Bowl. lurks there at every family reunion: radical politics, alcohol, rage at the upper classes, stubborn dignity. I am going on a tour of Comancheria next spring, just to cover the ground with my own memories. wow ! Sono cose really interessanti! J’lis avec beaucoup de plaisir raccontate with great skill….Grazie ! Salut meme à Adriana omonima d’oltre mare ! Andrea ha una mamma Adriana veneziana e un’amica Adriana Californiana !